As a coach, you show people how to have success with there Beachbody fitness program by showing them exactly what you did. There is no easier way to help other people get results! And the best part is that as you coach, you automatically receive a 25% discount on all Beachbody products including Shakeology, and you get free shipping on all Auto Ship orders. You Can Start Earning Income Now! Beachbody has already paid out millions of dollars in commissions, and the reason is that they have developed a system that works. You will get the best tools and training developed by industry leaders; and not to mention, you get the entire Team Beachbody community to connect with for support. With the Team Beachbody Coach Business Starter Kit, you get everything you need to get started right and be successful. You will learn exactly how to share your passion for the products that changed your life. How many people do you know that want to get healthy and fit this year? My Name is Todd Warren and I am a Diamond Beachbody Coach. My journey with Team Beachbody began back in 2006 with P90X. Well like many, I tried on multiple occasions to complete the program, but after 7 attempts over the next four years, the farthest I had made it through the program was week 6. It wasnt until 2010 that I discovered my coach and committed 100% to the workouts and getting my nutrition on track with Shakeology. I lost over 50lbs and 20% body fat! My life has never been the same since! It wasnt just family and friends who noticed my results though. MensFitness.com actually featured me as one of their monthly success stories! Click Here to Read the article! 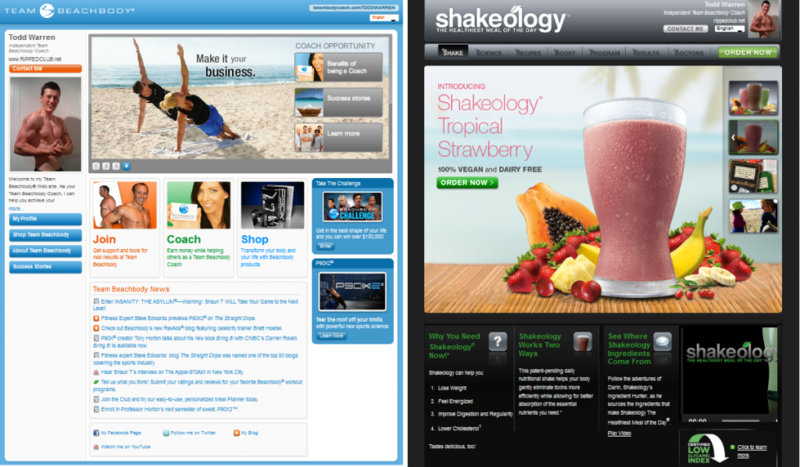 I also won $1000 in the Beachbody Challenge as the January, 2012 Shakeology Transformation winner! 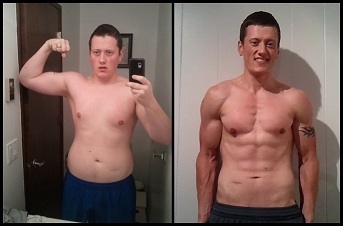 It wasnt until half way through my second round of P90X that I decided to be a Beachbody Coach. I had tons of people asking me what I was doing to lose so much weight. I was recommending all these Beachbody products that helped me have success, so why not make a commission off of those recommendations. I was practically a walking billboard for Beachbody, so naturally the next step for me was coaching. I never could have imagined the success I have today and I am still overwhelmed by the opportunity. The fact that I get to help people change their lives and get paid for it blows my mind. I can honestly say that coaching is something that I love to do. Its not too often these days that you can get paid to do something you love. I continue to offer the same coaching opportunity to those who are interested, but I will be brutally honest…I wont work with just anyone. I will only work with passionate, motivated people who want to pay it forward by helping others. If you are committed, I will personally work with you to help you build your business, to inspire and motivate others. Whether you want to build your business online or offline, I have had extensive success with both and I will share my experience and knowledge with you in order to help you succeed as well. Not only will you be personally working with me, but you will become part of the fastest growing, most successful team of coaches in the Team Beachbody organization. We currently have coaches hold 4 of the top 10 coach positions and have had the #1 coaches in the business the last two years running. You will get the same training as I had, the same training that the #1 coaches had. You will have THE BEST opportunity to have success. You already know that P90X, Insanity, and Shakeology are helping people get into the best shape of their lives. 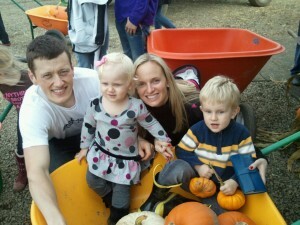 You wouldnt believe what the can do for your financial fitness when you decide to be a coach. When you have products that get results, they sell themselves. You simply get to take part in something happening on a much larger scale – “ending the trend of obesity”. The benefits to being a coach go so much farther than just hope of a better life. The coaching opportunity actually paves the way! 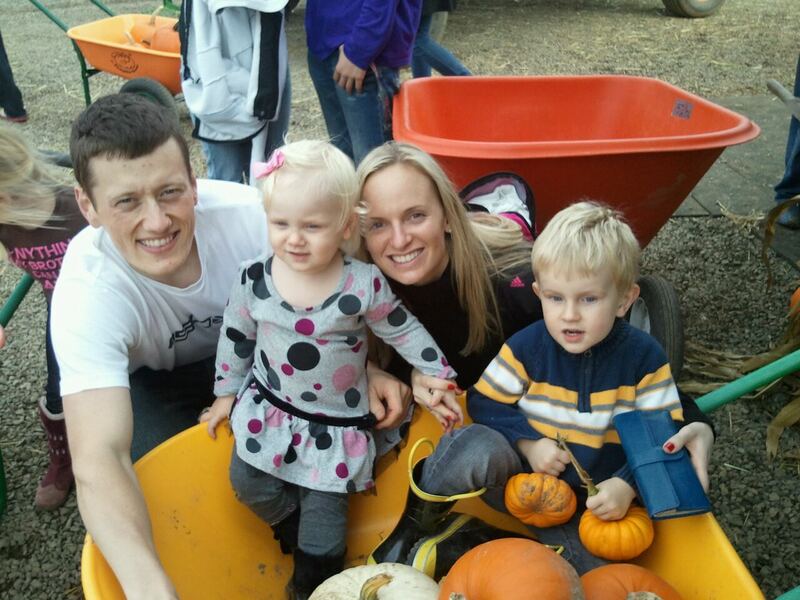 Not only has becoming a coach helped me get into the best shape of my life and be known as “that ripped guy” at the pool, but its putting my family and I on the path to financial independence. There is one benefit that no amount of money can touch though. When I get the email from a member of my team thanking me for changing their life, all the financial benefits become an afterthought for me. It has been one of the most amazing blessings to touch hundreds of lives and receive numerous emails about how I…Coach Todd, changed their life. That is priceless and makes all the hard work worth it. The rewards for building your coaching business are phenomenal and with some dedication you can make them happen for yourself! As a measure of success, Beachbody has developed what is called “Success Club”. Success Club is your go-to recognition and rewards program, the basis for all our Coach promotions, and your key business-driver for the year! Every Coach—new or veteran and regardless of rank—can easily participate and earn sweet rewards. 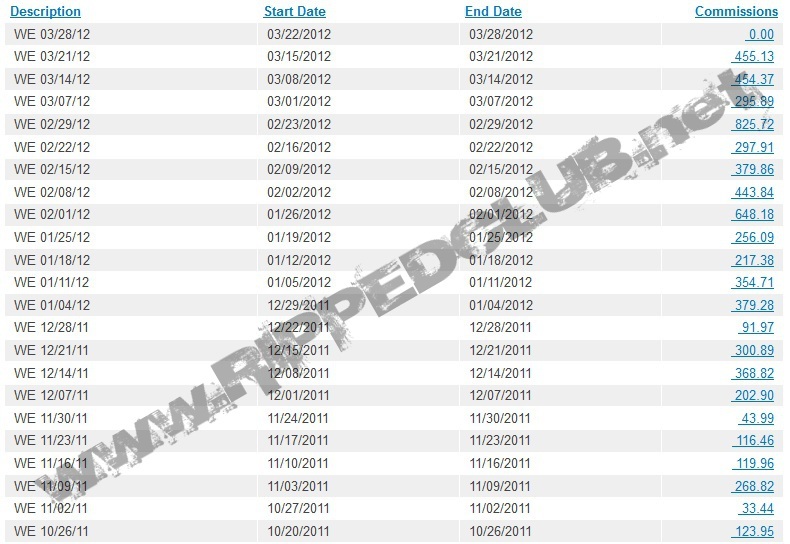 In 2011, Coaches earned trips to paradise, iPads, gear and apparel, customer leads, autographed workout programs, and way more! 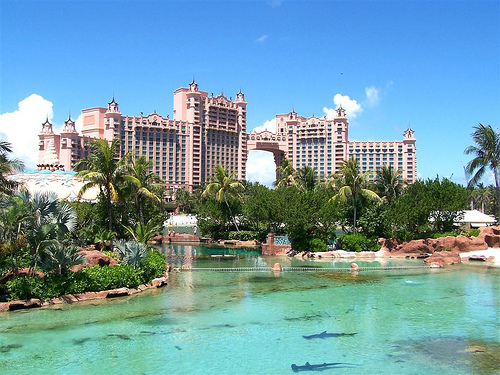 In 2012 our Coaches went to Atlantis in the Bahamas and Elite Coaches went to Paris as well as the Bahamas. It really is up to you and how bad you want success. These rewards are completely obtainable for everyone! I am currently on track for the Success Club 2013 trip to Disney World Yacht Club, all expenses paid, plus $1000 spending cash. 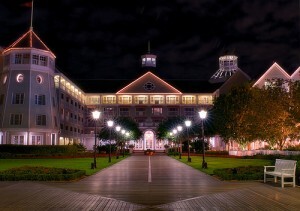 I am so excited to spend some quality time with my wife on this trip and get a break from the everyday hustle and bustle. How bad could you use a trip like this? The Beachbody Coaching opportunity provides unlimited income potential. When I decided to be a Beachbody Coach, I did so with the intention of growing my income enough to cover my $89.96 Shakeology order each month. Well I finally saw the potential and tapped into our amazing coach resources. I have managed to build an income that is currently paying my mortgage! You can too! The only difference is that you wont have to make the same mistakes that I made along the way. Believe me! I have learned quite a bit about this business and marketing in general. When you join my team of coaches, you get the advantage of drawing on my experiences and expertise that will propel you to success rather than spend 6 months struggling like I did when I first started. I know some of you are wondering if this is a scam. Its not. You can be sure that if it were a Beachbody Coach Scam, I would have been making a lot more money, a lot faster. What you see above is a demonstration of what happens with genuine hard work. I am living proof, that anyone can do this business with the right attitude, mindset, and ambition. But I gotta be honest here. What you are not seeing is the $0.00 I made my first four months as a coach. You dont make $0.00 in four months scamming people. I increased my network and focused on providing value to my team. That is what has made me successful and what will continue my upward trajectory of success. I am not trying to impress you with my income, but I want to show you that anyone can do this. All you need to do is plug into a system that is already in place. A training and support system that is proven! This revolutionary, 100% online video training series will put you on the path to success right out of the gates. The fact that this is online allows you to choose the pace at which you go through the training. If you are as ambitious as I am though, you wont be able to stop until you have soaked up every bet of knowledge you can from the training. In addition to the Team Beachbody Coach Training Academy, when you sign up as a Coach on my team, you will gain access to the most exclusive training offered only to my Coaches. And you MUST be sure not to share this training, except with the coaches that you sign up. Its the same training that has produced 4 out of the top 10 coaches in the nation. 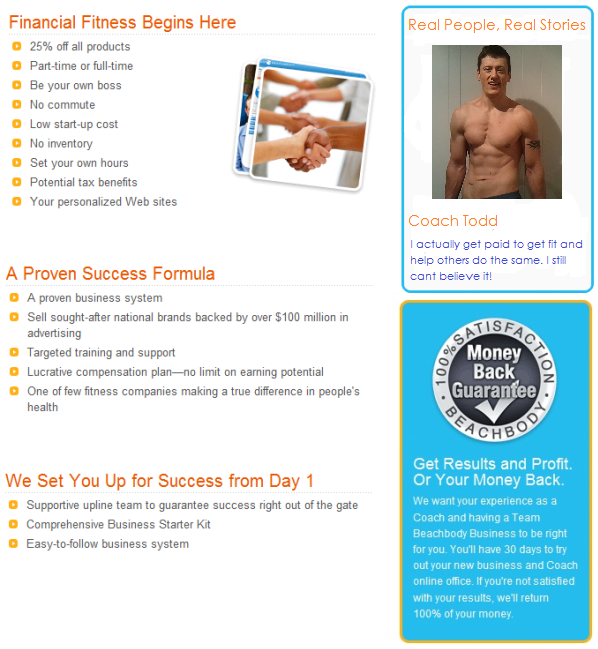 The same support and resources that have produced the #1 Team Beachbody Coach in the nation, two years running. You get complete and undenied access, including step-by-step instructions on how to build a website just like mine. No other training shows you how to reach the top. 1 on 1 interaction with me to guide you. 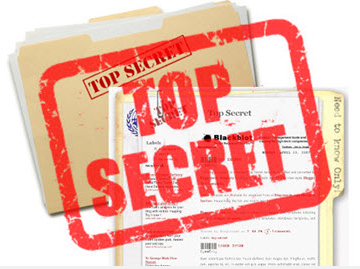 A Proven System that is easily duplicated to help you EARN CASH your first week! Work with a successful Diamond Beachbody Coach. Weekly Team Training Calls with Elite Coaches where you can get questions answered! Team Facebook Group – You will have the help and support of almost 2000 coaches. Ask a question and get your answer in minutes. Find out what is working for other successful coaches. Add your own coaches to this group to help them build their business! Our Team will build your downline to help you EARN! I will show you how to build a website just like mine AND how to dominate the search engines like Google and Yahoo! I will also show you how to stand out as a leader in the industry and attract endless leads without bothering family and friends. If you are anything like me then you are going to want everything you need for success, before you even get started. 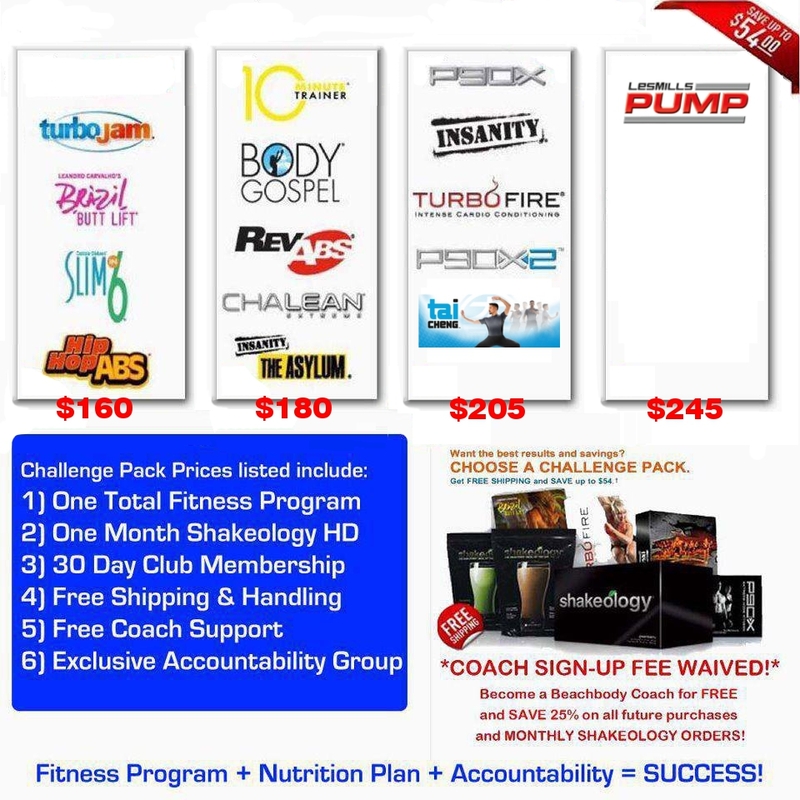 Beachbody has recently produced what they call “Challenge Packs” which give you your fitness program, Shakeology, and Club Membership, all in a single discounted package! This is a no-brainer when it comes to getting started as a coach and saving the most money. You can save anywhere between $25 and $54, depending on what Challenge Pack you choose when you decide to be a Beachbody Coach. The cost of Challenge Packs range from $160 to $205, so depending on your desired fitness program and budget, you can choose what works best for you! 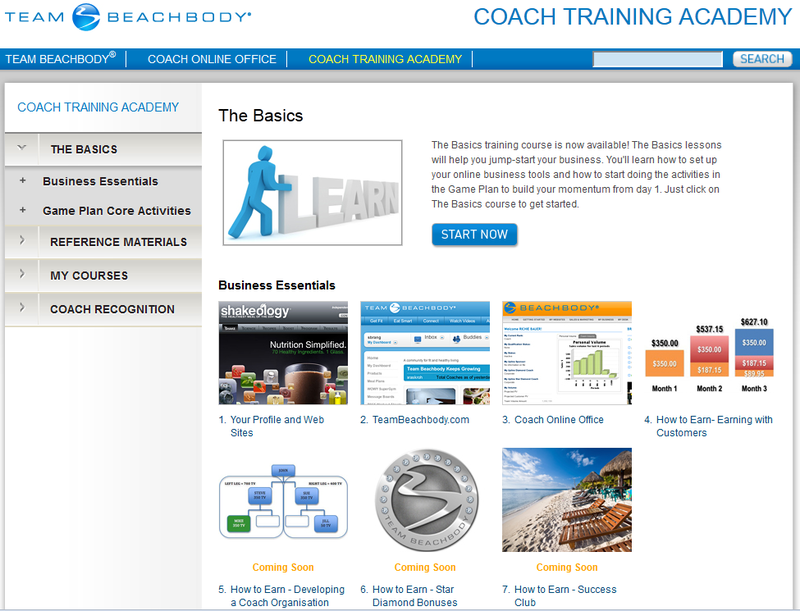 What Is A Beachbody Coach Really? Beachbody Coaches are motivators. You will have the opportunity to motivate people to do what they never thought they could…Get in the best shape of their life and take back control. You are their for your team members to answer questions and provide support and leadership that gets results. The short and simple of it is, you help people get the results they want! Beachbody Coaches are a product of the products. This means that you use the fitness programs and nutritional products yourself. There is nothing more detrimental to your credibility than recommending products you dont use. How can you expect people to take you serious? That doesnt mean you have to use every product that Beachbody offers, but I personally will not help you grow your business if your arent at least using a Beachbody fitness program and are on Shakeology Auto ship each month. It shows me that you are taking your business and your own health serious. Beachbody Coaches are a link to a network of support. Studies show that people get the best results when they are plugged in with others who are on the same journey. You are the link to that group of peers that will help support your customers. Beachbody Coaches are inspirational. Part of the reason I have had such huge success as a Coach is that my own results inspire others. I have committed to getting THE BEST results and when other people see that you have gotten results, it inspires others to make a change as well. They feel that if you can do it, they can too. Beachbody Coaches are selfless. If you are not completely dedicated to helping others first, then you will never succeed in this opportunity. If you are just out to make a buck, people can see straight through your lame sales pitch. I love helping others and THAT is what pays. Get PAID to stay in shape. How awesome is that? We get paid to get healthy and fit as well as helping others to do the same. Get a 25% Discount on all Beachbody Products. Many coaches sign up for this reason alone, to save on the products they would have been buying anyway. No inventory! Unlike others home business opportunities, you dont have to stock your garage full of kitchen ware, cosmetics, motor oil, or cleaning products. Beachbody handles all the shipping and handling so that you can focus on growing your business. Beachbody GIVES YOU CUSTOMERS! No other business opportunity does this. When you commit to growing your business, Beachbody rewards you by increasing the growth of your customer base. Brand recognition. Beachbody spends over $100 million on advertising each year. This has created the most well known names in home fitness. Everybody knows what P90X and Insanity are which makes our job so much easier. We dont have to actually “sell” anything. People have seen the results from these programs, we simply connect people with the products they already know about. You dont have to be an expert. You dont need to be a fitness model, a personal trainer, or even currently be in shape. You simply need to have the desire to get fit and healthy and want to help others do the same. Unlimited income potential. You are in control of how much money you make. You can build your business at your own pace and grow it as big or as small as you want. You are a personal business owner. You make your hours, there is no commute, and you can focus on more important things since you dont need to be in front of the computer for you business to grow. You get to stick it to the Government! Since you own your own business, you get to take advantage of some incredible tax deductions. At a minimum, you will also want to be sure you are getting Shakeology on Auto Ship each month so that you are using it yourself. You can also buy it in packets so that you can give away free samples which is key in growing your Shakeology business. It will also help you meet the minimum mothly PV (Points Volume) to maintain an “active” Coach status and therefore be eligible for the benefits active coaches receive. To be an active Coach you need at least 50PV, which means $50 worth of Beachbody products purchased by you or your customers to remain active. By getting on Shakeology yourself, you will get 90PV and you got it covered. So to get started as a Coach, your cost can be as low as $129 which is unheard of for a business opportunity with unlimited income potential! Team Beachbody Is Exploding! Take Advantage NOW! Still not sure if the Beachbody Coaching Thing Is Right For You? Hey, not a problem! This is a very important decision that you are going to make and quite frankly, I only want people joining my team who are 100% sure that Beachbody Coaching is right for them and want to help “end the trend of obesity” while getting healthy and fit themselves. However! If you are an ambitious action-taker and see the potential in this opportunity like I did, then you wont wait. Make sure you secure your spot on our team today so that we can get started! Click below to fill out the application forms and after that, I will see you on the inside!